A plastic multi directional 4 way vent commonly used in conjunction with air conditioning systems. 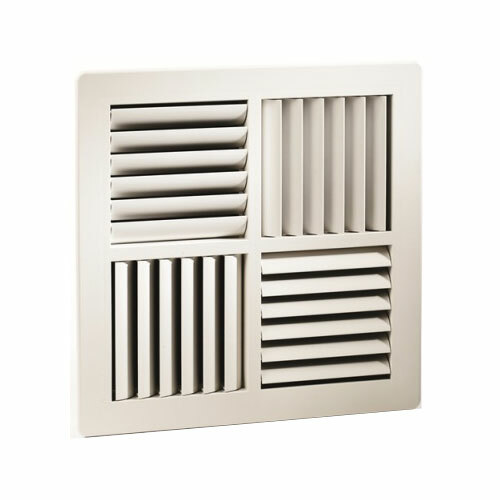 The vent has four small removable parts with shutters that can be opened and closed to a desired degree as well as positioned in any direction that you require. 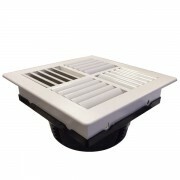 This vent also comes with a connecting rear boot that will allow the vent to join up to 300mm diameter ducting. 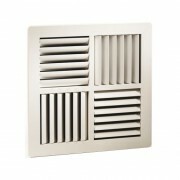 This boot simply clips into the frame of the vent. Overall good, but would have been even greater if there could be some sorts of installation instruction..